SiEBEN - Switch on the power of Teamwork! Microsoft Teams. Switch on the power of Teamwork! Microsoft Teams. Contact us today to learn how we can help you deploy Microsoft Teams quickly! 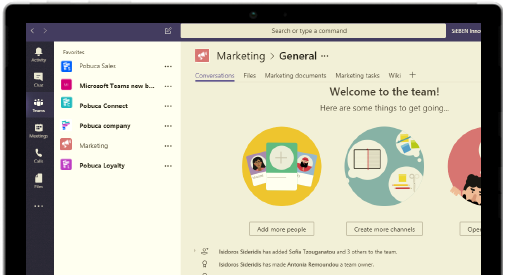 Give your teams access to the information they need, right in Microsoft Teams. Manage all your conversations, files and tools all in one team workspace. Enjoy instant access to SharePoint, OneNote, PowerBI and Planner. 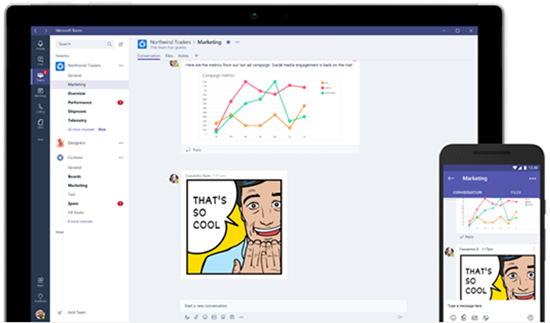 Microsoft Teams brings chat, content, people and tools together, all in one hub, wherever you are. Chat, calls and meetings for today's teams. Keep everyone in the know. Stay connected with chat, calls and meetings within your team and in private or small group conversations. Schedule and join online Skype meetings with HD video, VoIP and dial-in audio conferencing options. Share your files, apps, or desktop in online meetings and review the important moments later with transcriptions of recorded content. Tailor your Teams workspace to include key cloud services, explore data and get updates from the apps your teams use every day. Create custom channels based on work streams or topics. Pin commonly used files and websites for easy reference. Add bots that work on your team's behalf. Build custom integrations to your existing business processes with Teams developer platform. Enterprise security, compliance and manageability. 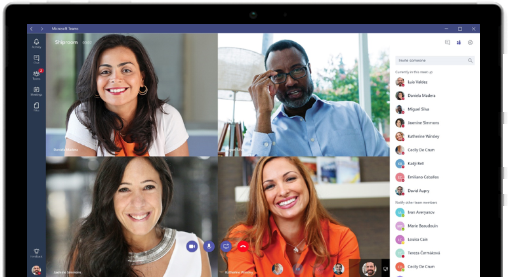 Microsoft Teams provides the enterprise level security, compliance and management features you expect from Office 365, including broad support for compliance standards and legal hold for channels, chats and files. Microsoft Teams encrypts data at all times, at-rest and in-transit and includes multi-factor authentication to enhance identity protection.